Want a fetching idea to make hotel guests feel more satisfied during their stay? 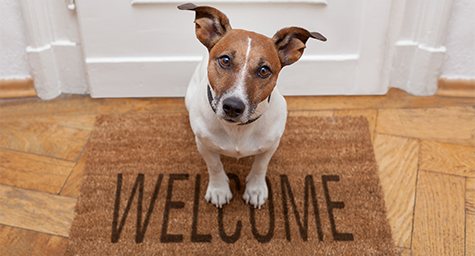 Start arranging for furry friends to play with your pet-loving guests. Some hotels are literally going to the dogs and matching guests with canine companions from local shelters. According to The Humane Society of the United States, pets were a part of 62% of American households in 2012, and that number is likely much higher today. As a result, travelers often miss their pets when far from home and welcome the chance for a little puppy love. To see how hotels around the world put on a dog-and-pony show, CNBC.com unleashed these playful findings. Guests can go on a Pound Puppy Hike at the Red Mountain Resort in St. George, Utah. This complimentary amenity pairs guests with a canine from a local shelter for scenic hikes through the mountain terrain. In Aspen, hotel guests feeling homesick for their own pets are directed to the Aspen Animal Shelter. The facility laps up the chance to have short-term volunteers and loves to loan out dogs for daylong hikes or just walks around town. Some of the area’s pet-friendly properties provide shuttle service to and from the shelter and even waive their high pet fees so guests can cuddle with the shelter dog all night long. “The outings provide exercise and socialization for the dogs and often lead to successful adoptions,” said Aspen Animal Shelter director Seth Sachson. Fairmont hotels are especially fond of our furry friends, with eight of their North American properties appointing certified canine ambassadors to greet guests. Hotel concierges keep special appointment books for these delightful dogs so guests can schedule walks and play dates. The dogs are not only draws for younger guests and their pet-loving parents, but these programs contribute to higher levels of guest satisfaction and more personalized guest experiences. They also distinguish the hotels from competing properties in their respective destinations. And people need not worry about these animals subjected to any risk because the hotels who have establish these programs are as concerned about caring for the pets as catering to the guests. And dogs aren’t the only animals getting the five-star treatment. The Vintage Inn in Yountville, California lets guests cuddle up with kitties free of charge, while Kimpton Hotels loan out goldfish to guests. For many guests missing their pets, these animals are the ultimate amenities. In addition to treating these animals to a little more love, these pet-centric programs treat guests to the kind of satisfaction that really stays with them long after they leave. Discover the latest trends in hospitality marketing. Contact MDG Advertising today at 561-338-7797 or visit mdgadvertising.com. MDG Advertising is a full-service advertising agency and one of Florida’s top branding firms. With offices in Boca Raton and New York City, MDG’s core capabilities include creative, branding, logo design, print advertising, digital marketing, mobile marketing, email marketing, media planning and buying, TV and radio, outdoor advertising, newspaper, video marketing, Web design and development, content marketing, lead generation, mobile marketing, social media marketing, and SEO. To discover the latest trends in branding and advertising, contact MDG Advertising today at 561-338-7797.